The crew showed up as promised, did their work quickly and professionally. I stayed home to make sure the first visit was done properly but obviously from the quality of the job, I don’t need to be there. Great experience! Go mow is such a great service and reasonable price. The crew that I have does extremely great work! They always make your yard look like a picture. Not only do they mow, they completely edge and weed eat as well. I HIGHLY recommend Gomow and I know if you try them, you will too! I have used other lawn services, but now I have found the lawn service I'll be using from now on. I am a Go Mow lawn customer. During the winter I put the service on hold but that doesn't stop the leaves. I called to arrange a leaf clean-up for my yard ... and I had a ton of leaves. In less than a week the leaves were cleaned-up as as promised and I was very happy with the service. Easy to schedule, arrived during the promised service window and did the job well. Thank You! I have used GoMow for 3 years now. They are always professional and care for my lawn better than past lawn companies. I have them come every week and they do a great job! Your crew helped me one morning..I was trying to get to work and some animal had gotten into my trash. Your crew helped me clean up my yard. They were great. Great service lawn looked wonderful!! Wonderful! Thank you for the feedback. Just wanted to take a moment to acknowledge how great my yard looked. With all the rain but your attention to detail- MY YARD is the nicest on the block. I appreciate how you ensure every blade of grass is even and the time you put in on edging even around our stepping pavers! JOB WELL DONE and THANK YOU! I had the yard service and the bush service. The yard looks amazing and they stacked the trimmings on the corner for pick-up. Yard work and landscape service near the Dallas Arboretum area. Residential mowing and lawn mowing service. Needing mowing service and lawn care treatment for residential yard work. Quote this address for grass clipping and lawn specialist care. Organic lawn care. Pass Lakeline Mall to arrive at this customer needing an estimate for grass cutting and lawn maintenance. Residential lawn mowing and yard work near Legacy in Plano. Needing mowing service and lawn maintenance in the area. Leaf removal and yard mowing around the corner from Domain North. 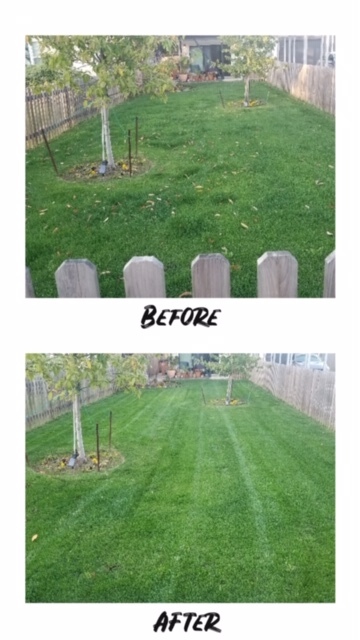 See customer about providing an estimate for yard clean up. Around the corner from JB Connalley Middle School is the cheap grass cutting and yard work customer. Advise them on how to keep healthy grass and organic lawn care. Perform grass cutting and lawn care near the Mission Hills area. Give the customer estimate for affordable lawn care and yard treatment. Residential and landscape services near the University Baptist Church in the city. Pass Stoney Farms to arrive at lawn care and yard work for this residence. Mowing service near me and next to the US Army Medial building. Grass cutting and lawn care maintenance in the area. Pass Lake Point Town Crossing to arrive at this customer needing mowing service and lawn care. Estimate for grass cutting along with mowing. Affordable grass cutting and lawn care service near UT Austin. Provide estimate for yard work and lawn mowing. Residential lawn care and mowing service near the Lake line Mall area. Provide estimate for the grass cutting around the median area. Pass Ceilo Apartments and arrive at mowing and yard work address.